Thomas D. Horton Sr. started in the Spice Business in 1936. In 1962, he became the founder of Horton Spice Mills Limited. Tom Sr.’s primary business was in the Food Service Industry. Since then, Horton Spice has grown over the years to become a major supplier to the Food Service Industry, as well as the commercial baking trade and further. Tom Sr. gave his son Tom Jr. his first job in 1971 as a spice miller. For 11 years, Tom was grinding spices. From there Tom went to shipping and delivery, then warehousing and then to colours, flavours, and extracts. Tom’s knowledge is based on actual labouring in the manufacturing end of the business. Over the past several years, Tom has developed an enormous amount of quality blends. 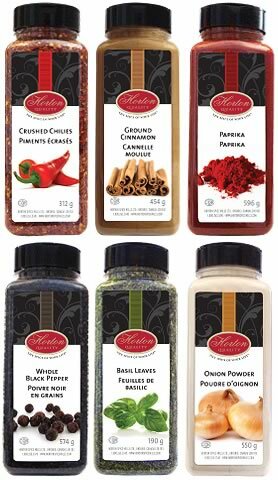 Horton Spice Mills is confident in matching or developing any seasoning or blend to suit your needs including soup and sauce mixes. 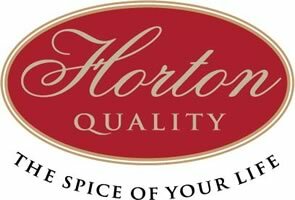 Horton Spice Mills prides itself on using only the freshest and finest quality of products available from across the globe. Our products are processed at room temperature to ensure maximum flavour and aroma. We grind at a low RPM to maintain a high volatile oil content. While still using this method, we also have a cryogenic grinder, which uses an extremely low (-100 degree Fahrenheit) temperature. The product is then frozen in a pre-cooling process to allow the ability to grind the spice at a much faster speed. This ensures the product maintains its high oil content, flavour, and aroma. Our products are ground and packed upon receipt of our customers order to maintain freshness. Turn around time for an order is 5 working days from receipt of order. Horton Spice Mills is a kosher facility distributing only Kosher approved items bearing the COR139 number. 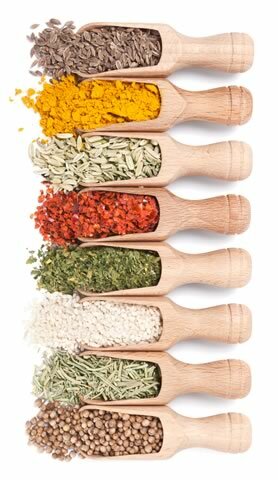 We carry a full range of spices, herbs, and seasonings to compliment any cuisine. We also carry pure and artificial food flavours and colours. Our flavours and colours are manufactured in house. Our pure flavours are made using propylene glycol USP that helps to maintain the flavour during the baking process unlike alcohol, which burns off during baking. However, on occasion a small amount of alcohol is added to help blend the oils throughout the formula allowing it to become water-soluble. Please note, in addition our Pure Vanilla Extract is two fold, meaning two times the strength of our competitors. Further to our growth, we are now completing the final steps of our HACCP plan and will become HACCP accredited. We manufacture our products using Good Manufacturing Practices following the HACCP guidelines. Specification sheets are available upon request along with nutritional and ingredient listings. Our products are sterilized using the ETO method when needed and can be irradiated at our customers request for an additional fee. Tom is available to speak to your sales team at anytime in order to help promote and instill better knowledge in regards to spices, seasonings, extracts and colours in the retail, food service and commercial baking industries. Tom is very passionate about his products and feels his expertise in this field will be very beneficial towards your overall sales. Horton Spice Mills is 100% Canadian owned and operated.